So I have to admit, sometimes I can be a little bit of a... snob. (With THINGS, not people). The fact is, quality often comes at a price. 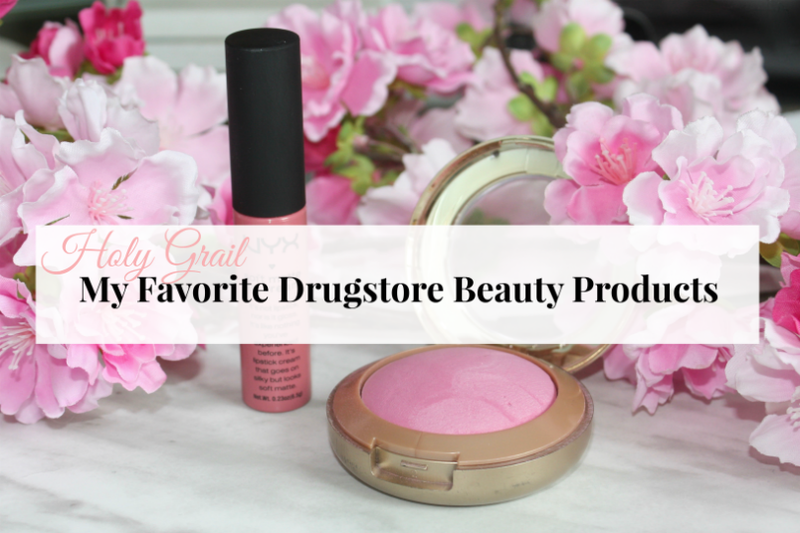 However, there are some absolute GEMS to be found at the drugstore that are super inexpensive. I've been using these products forever and will probably never switch to anything higher-end, because they really work for me. And that's really what everything in beauty (and life) is all about: finding what works for YOU. These are all products that I've used for years and have been truly tried and tested. 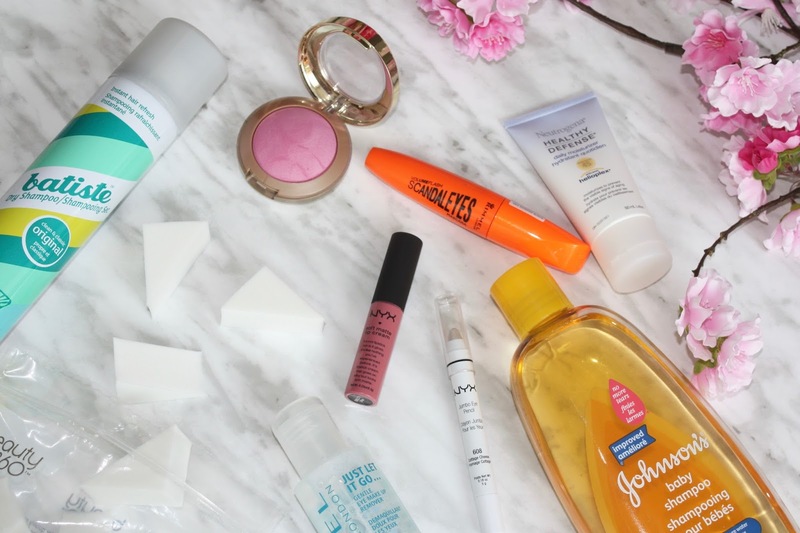 If you're looking for some inexpensive drugstore beauty or makeup recommendations, these are my top nine! Love love loveeee! There are few things that make your eyes look better than full, dark lashes and this mascara provides just that. Now here's the only thing... I'll only use this mascara on top of another high-end mascara. My all-time favorite Dior Diorshow is a dry mascara, so it really separates and defines your lashes. Adding this on top builds major MAJOR volume. Because Scandal Eyes is a wet mascara I find that if I apply it directly to my lashes they look thin (like that spider-y unnatural thing - not about it). So, find your favorite dry mascara and then apply two coats of this on top and I promise your lashes will never look bigger. Highlighting makes a HUGE difference in your face. I always apply this on my brow bone and inner corners of my eyes. It really catches the light and opens everything up. This one glides on smoothly, blends beautifully, and seriously lasts forever. And it's like, $4 - you can't go wrong. 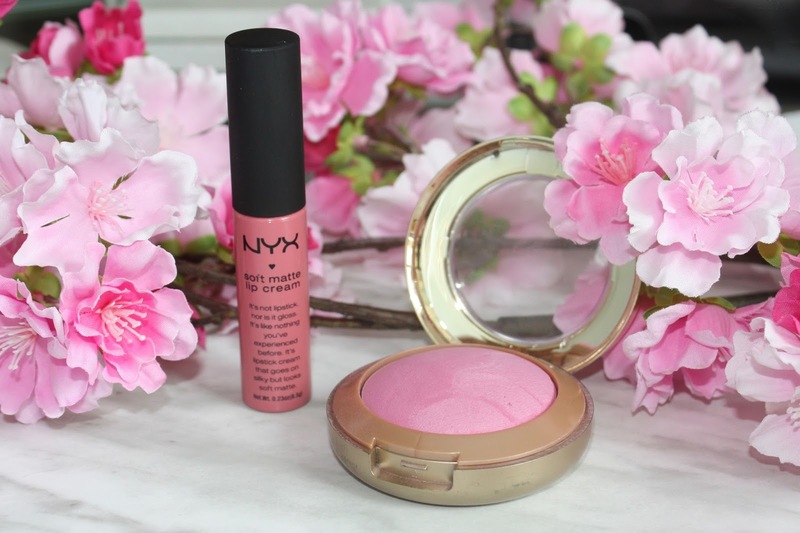 This blush is sensitive-skin approved, lasts forever (like actually way longer than most I've used), inexpensive, and this color is the absolute perfect shade of glow-from-within-baby-pink. I can't say enough good things about it. Admittedly I'm not the biggest fan of decidedly matte lip products because they can be super drying. Flaky lips are not cute. 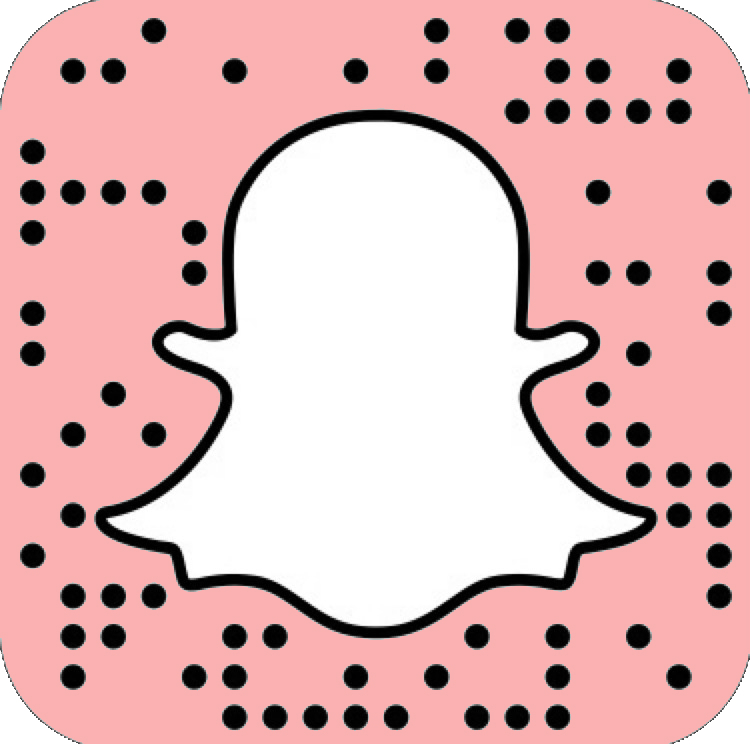 I apply my favorite lip balm and then dot this on and blend to create a not-so-matte pink pout with decent lasting power. This color is to die for! I love inexpensive lip products like these for experimenting with different colors. I LOVE this moisturizer. (Is it weird to love an inanimate object?) It's super hydrating and perfect for sensitive-skin. I even took it into my dermatologist and had her go over all the ingredients - approved! Daily SPF is so important no matter your age to prevent wrinkles and sun damage. This one has just enough while still feeling light. Win-win- win. Unfortunately, this is the most expensive on the list - at about $15, but it's still way less than most moisturizers you'll find! If you're of the Beauty Blender cult (good girl), then you already know the magic of applying your foundation with a damp sponge. These work just as well, but are one-time use which make me feel 100% better about the germs. I swear every time I find makeup sponges I like they magically disappear from store shelves never to be heard of or seen again. SIGH. My ultimate favorite are these Beauty 360 latex-free applicators that are sold at CVS. They quadruple in size when wet and apply liquid foundation so beautifully. These are the closest, cheapest disposable Beauty Blender dupe I've found. If you truly want a flawless face (uhm, who doesn't? ), always use a damp sponge to apply your foundation/concealer/etc. If you can't find these in stores, the "Swisspers" brand also makes pretty good ones. I'm religious about cleaning my makeup brushes (once a week, thank you). Bacteria and dirt can accumulate so quickly on your brushes, especially if they're constantly in and out of your makeup bag, and then that dirt and gunk gets transferred to your face every time you apply...YUCK. So cleaning them is so necessary! I love using baby shampoo because it's gentle and effective (and cheap)! I have tried a million (obvious exaggeration) different dry shampoos, from the cheapest (this) to the most expensive (Oribe? ), and this is my hands down favorite. Why? IT WORKS. I feel like a lot of hair products try to mask their inefficiency by adding scents or shimmer or claiming disease-curing properties. Not this. It just works. Crazy concept, right? I have the thickest hair that I only wash once a week. This takes out any extra oil at the end of the week and adds a little volume in the process. Love! What are your favourite drugstore finds?